Jonathan (Ansel Elgort) is a young man who seemingly has it all. He’s got a good job at an architectural firm, and a nice apartment. But his life is complicated by the presence of his “brother” John, who happens to share the same body as him through a rare phenomenon known as single body multi-consciousness. The quiet and more reserved Jonathan gets the first half of the day starting at seven in the morning, before his consciousness shifts at seven in the evening and the more gregarious and outgoing John takes over his body for the overnight shift. Jonathan and John communicate through videos that they leave for each other, keeping the other one up to date on their lives, to make up for the fact that the two consciousnesses have no recollection of what the other one has done. They have separate phones and separate beds, and follow a strict schedule with a series of rules to live by, including that they aren’t allowed to have a girlfriend. When John starts dating the bartender Elena (Suki Waterhouse), and Jonathan also ends up falling for her, the careful balance of their lives is threatened. The feature debut of short film director Bill Oliver, who wrote the script with Gregory Davis and Peter Nickowitz, Jonathan is a hard film to pin down. It has elements of science fiction – Jonathan has an implant in his neck to keep his “splits” on schedule, and there is a cold, sterile feel to the production design and cinematography that gives us the sense it takes place in a vaguely futuristic world – but it’s not really sci-fi. There are moments when it seems like the film could segue into psychological thriller territory, but the tone and feel of it always remains a bit too staid for that. While the premise of Jonathan is intriguing and original, the film itself never quite becomes the head trip that it might have been in the hands of a filmmaker like Charlie Kaufman, whose work Oliver seems to be emulating. The film ultimately functions mostly as a quiet character drama that explores themes of sibling rivalry, albeit in a unique way, but I was left with the feeling that more could have been done with this story, and there are aspects of this character that feel largely unexplored. The film provides an interesting acting exercise for Elgort, who continues to prove himself as one of our most promising young actors following his heartbreaking work in The Fault in Our Stars and his cool as hell performance in Baby Driver. He is given the challenging task of portraying two separate characters who, despite the fact that they both reside in the same body, retain their own unique personalities, and he does do some interesting things with the role. But as a whole, Jonathan is never quite as impactful as it could have been, and the film feels strangely limited in scope. While it’s got an intriguing premise and a solid performance from Elgort in the lead, it ultimately doesn’t quite live up to its initial promise, making this more of an interesting curiosity than a true must see. The Blu-ray includes no bonus features, save for the film’s theatrical trailer. 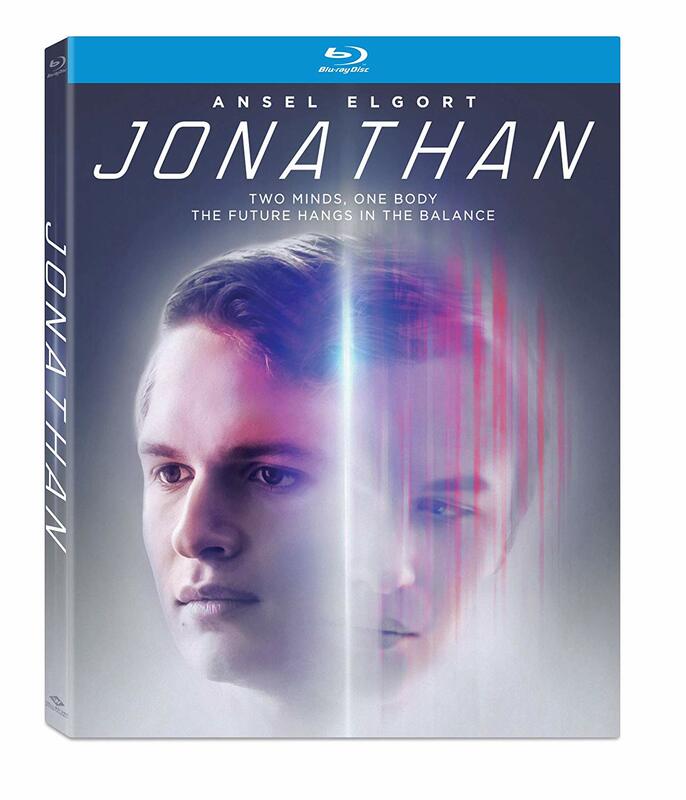 Jonathan is a Well Go USA release. It’s 101 minutes and not rated.